When California magnate Charles Crocker built the westernmost leg of the transcontinental railroad, not enough white laborers signed on for the grueling, dangerous work of blasting mountains and laying track. But the capability of his personal servant Ah Ling convinced Crocker to hire thousands of intrepid Chinese for the job. 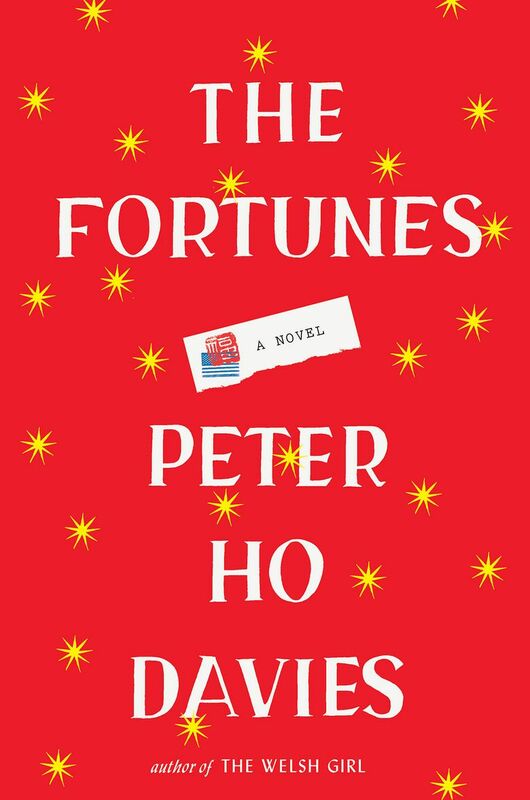 In his panoramic postmodern novel “The Fortunes,” Peter Ho Davies amplifies this legend, imagining the life of Ah Ling as a microcosm for the 19th-century experience of the first Chinese in America. In arresting shifts of angle and tone, the book then skips generations to explore the conundrums of Chinese-American identity via other fictional/historical characters: The first Asian-American film star. A friend of a hate-crime victim. An interracial couple visiting China to adopt a baby. The book is more than the sum of its parts, and Davies (the son of Welsh and Chinese parents) achieves an extraordinary novelistic intimacy against backdrops of historical vibrancy. Moreover, he considers what it means to be identified with, but not now belong to, an ancestral culture one can’t escape or fully embrace — in an immigrant society that promises but doesn’t deliver full racial inclusion. The author of “The Fortunes” will appear at 7 p.m. Thursday, Sept. 15, at Elliott Bay Book Co., 1521 10th Ave., Seattle; free (206-624-6600 or elliottbaybook.com). Ah Ling’s story, the first segment, is the most historically compelling. Sent by Chinese relations to Gold Rush-era California to become an indentured drudge in a laundry, young Ling has a burning desire to strike gold himself. That dream clashes with his circumstances, conveyed in pungently grim, realistic detail. Ling’s escape from grinding poverty is better-fed servitude to Crocker, who suits him in Western garb like a “ghost” (white person), makes racist cracks in his presence and credits him with proving the Chinese can be exploitable beasts of burden. When tasked with spying on railway workers agitating for the same pay as their white peers, Ling hits a crisis of conscience and identity. Most evocatively, Davies deconstructs Wong’s sole visit to China. He penetrates beyond the staged newsreel footage of the 1934 trip, to reveal the alienation of an American celebrity both welcomed and reviled, invisible yet overexposed in a culture alien to her. Leaping to the 1980s, “Fortunes” gives a powerful account of the racially charged murder of Vincent Chin in a barroom brawl, from the perspective of an eyewitness radicalized by the killing. The final act of this rewarding pastiche concerns a recent baby adoption in China that connects all four narratives. In a hopeful journey that reverses Ling’s, a Chinese American muses on the “marginalization” his adopted daughter may feel in the U.S., like the immigrant generations preceding her. Misha Berson is a freelance writer, book author and the editor of the play anthology, “Between Worlds: Contemporary Asian-American Plays” (Theatre Communications Group).